In the early 1950s, Jamaicans were busy listening in to American music via radio stations in New Orleans and Miami, in particular, the R&B and jump blues of artists such as Fats Domino and Louis Jordan. Inspired by these sounds, Jamaican producers started to record versions of those records by local artists. While still in the ballpark of R&B, these recordings also incorporated influences from traditional styles such as mento, also known as Jamaican folk music, and calypso, an Afro-Caribbean style. This fresh take on American music gradually developed into a new uniquely Jamaican genre, namely ska. Its distinctive sound incorporated a scratchy guitar chop that stressed the off -beat, rhythmically propelling the music forward in unison wiThthe horns; all the while, a walking bassline and on-tempo drums were holding things together. Ska pioneer Ernest Ranglin, who lays claim to inventing the guitar chop, was famously quoted as saying that the point of diTherence between R&B and ska beats is that the former goes ‘chink-ka’, while the latter goes ‘ka-chink’. By the early 1960s, ska was the most popular musical genre in Jamaica, and 45s were being released rapidly by the owners of the mobile sound systems to blast at revellers at the multitude of street parties held on the island. Two such owners, Clement ‘Coxsone’ Dodd and Duke Reid, along wiThproducer Leslie Kong, were hugely important in ska’s development, forming their own labels and acting as producers for local artists. The Skatalites, led by trombonist Don Drummond, and featuring an all-star cast of musicians, including Roland Alphonso, Tommy McCook and Jackie Mitoo, were the top instrumental group, and also served as the Studio 1 session band. The first wave of ska superstar vocalists included Laurel Aitken, Derrick Morgan, Desmond Dekker and Toots Hibbert. Ska’s popularity was not confined to Jamaica and the music crossed over into the mainstream charts in boThthe UK and US in the mid-60s. Blazing a trail was Millie Small wiThMy Boy Lollipop, which was a huge hit on boThsides of the Atlantic. Ska was eventually superseded by rocksteady, its more soulful, less frantic close relation, and several of the 45s we have chosen here fall into the transition period between the two genres when lines were blurred. 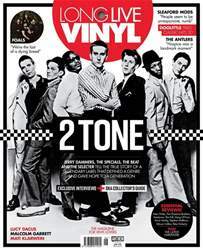 Ska enjoyed a spectacular renaissance in the UK during the late 70s and early 80s thanks boThto punk’s afinity wiThthe music of Jamaica and the rise of 2 Tone bands, such as The Specials, Madness and The Selecter. A third wave saw a rock-orientated, un-Jamaican version of ska become popular in the US during the 90s, wiThbands like The Mighty Mighty Bosstones, Fishbone and The Toasters.